Who came to visit so we went to the park! 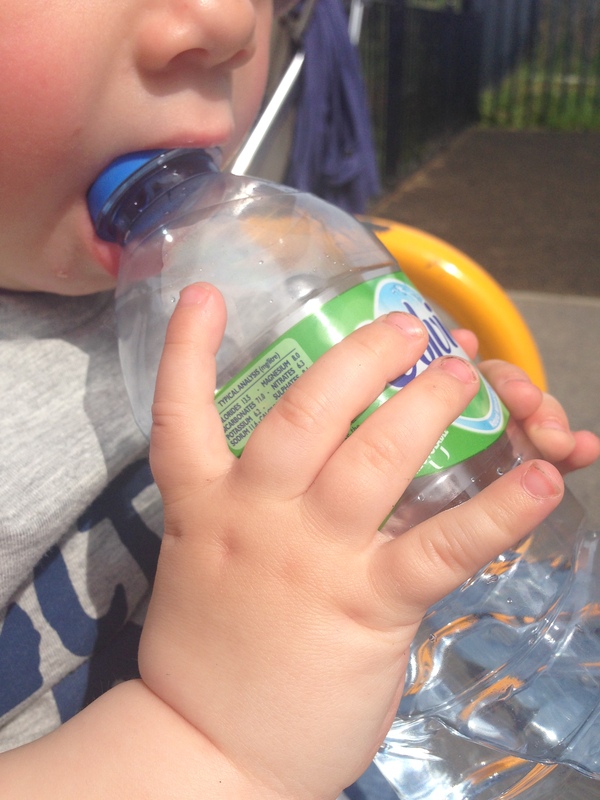 The little tinker enjoyed my water in the sunshine! I’ll be honest, I have been really excited about this project and linky brought to us by the lovely PODcast. Each week I will post a picture that will represent a letter of the alphabet. The great thing is that the theme can be interpreted in any way I want, which really just leads to tons of interesting possibilities! I am hoping to be able to get my ‘proper’ camera out for this project (although I didn’t get chance for my A picture this week), the majority of pictures on my blog are snapshots taken on my phone. I’m also going to aim to take a new photo each week rather than look back at older pictures, which is also allowed, that way I can still join in with the fabulous Whats the Story linky. I want to try to not have too much explanation to the picture, although I can’t promise that ’cause I love a good ramble. So this is my A picture, hope you pop back to see how the rest of the alphabet is interpreted! Don’t forget to pop by PODcast to see the linky and her brilliant blog!